Great offers on oil changes, parts, and more! Great deals on the latest & greatest Hondas. 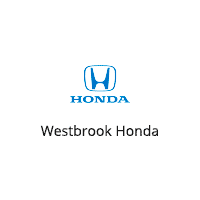 Westbrook Honda has a wide selection of used specials. Our team of specialists can help you get approved. Honda Certification includes many benefits that other programs just can’t match. Every vehicle is less than six years old, has less than 80,000 miles, and goes through 182-point certification. Prized for their reliability, quality craftsmanship, and advanced safety and driver-assistive features, Honda’s latest models are easily some of the most attractive on the market for drivers across the greater Westbrook, CT area and southern Connecticut. However, as attractive as the new Honda models we have in stock are, our selection of used vehicles for sale at our Westbrook, CT dealership is at least equally so. As we mentioned before, we strive to serve the needs of our customers across southern Connecticut, and for many drivers here in Westbrook and nearby Madison, Branford, New London, and New Haven, saving money on their vehicle purchase is of paramount importance. To that end, our talented staff have searched high and low to cultivate a great selection of used vehicles for sale. Similar to our new inventory, our available used vehicles run the gamut of popular models and brands here in Connecticut, including many used Honda cars and SUVs available at exceptional values. And for those who love great savings and a little extra peace of mind, we also happily carry a curated selection of Certified Pre-Owned Honda models as well, providing that assurance of quality in a pre-owned purchase that so many drivers across southern Connecticut crave. At our Westbrook, CT Honda dealership, we firmly believe that auto financing shouldn’t be half as hard as most dealerships here in southern Connecticut make it out to be. So, whether you want to lease one of our many new Honda models, or secure a car loan to purchase a pre-owned vehicle that you have your eye on, our staff will happily work with you to structure a financing solution that best fits your monthly and overall budgetary needs.